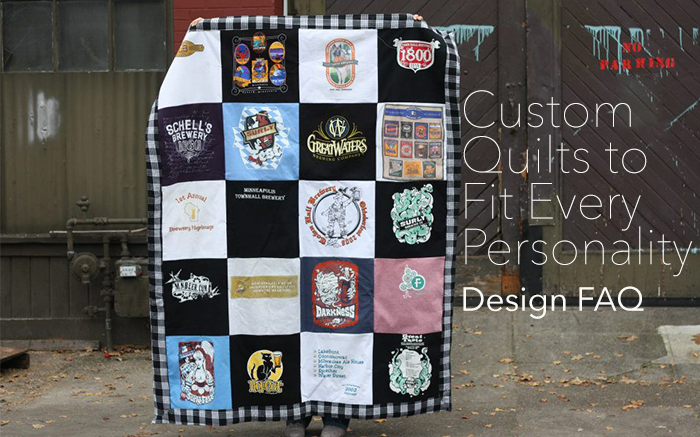 Queen B Quilts | Turn your favorite t-shirts into a handmade quilt! 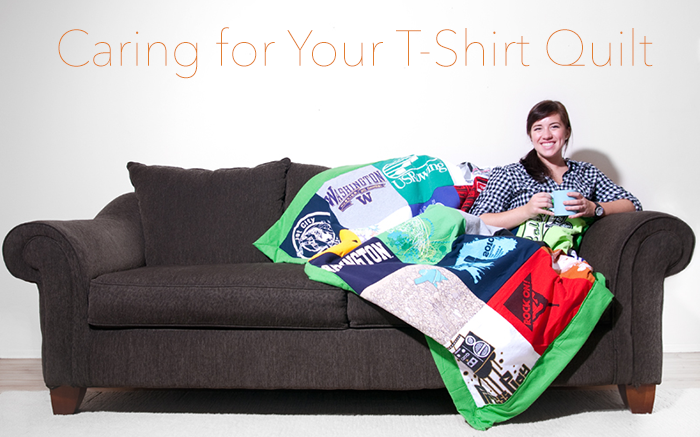 Have you ever tried cuddling with your favorite t-shirt? The one from that concert in 2002 where you met the band on accident at the sandwich shop down the road and then spilled your lemonade alllll over the lead singer as you tried to give him directions to the bathroom? 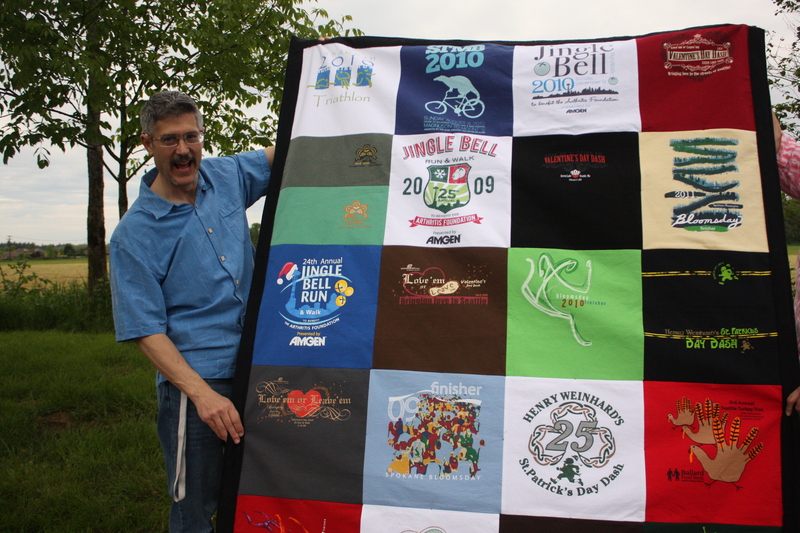 Not only will you be able to snuggle up with your new t-shirt quilt, but you can take it on road trips, throw it on your bed, or just hang it on the wall and look at it. It will be an amazing buddy through life and will thank you on the regular for keeping those t-shirts around past their recommended use date. HOW MANY SHIRTS DO YOU HAVE? Pick out your best t-shirts. The theme is YOU and you can pick whichever ones you want to save forever. Hot tip: People will look at these shirts for many years and ask questions, so you might want to practice explaining why you chose the N’SYNC t-shirt. 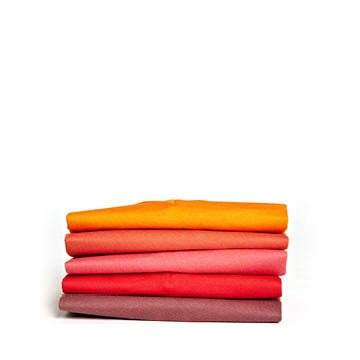 Between 9 and 15 t-shirts. 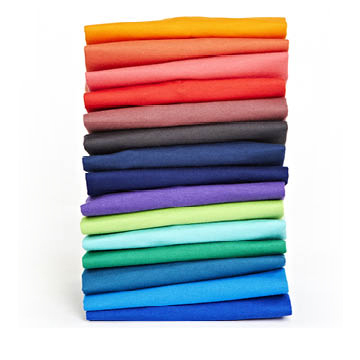 Between 20 and 35 t-shirts. GET OUT THE PACKING TAPE. We know it might be tough to part with these old pals of yours, but this is a critical step of the process. Grab a box of tissues to soak up the memory filled tears while you reminisce over each t-shirt to your boyfriend/girlfriend who probably has no idea what you’re sobbing about but is so nice to half listen and hand you the cardboard box and tape. Pack them up (wrap in a garbage bag to protect from moisture) and include your name, email, phone number. When you submit an inquiry or make a purchase in the store, our small business located way up here in the Pacific Northwest, will receive the notice! We’ll let you know via email that we’re ready to receive your package of t-shirts and we’ll send you the address and any other important info you might need. 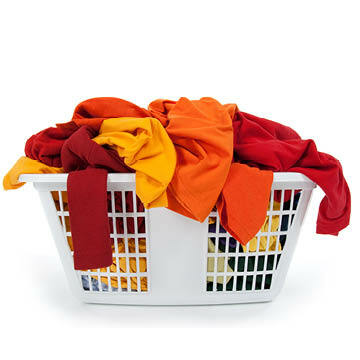 …Your t-shirts have been transformed, like Cinderella! Except that they’re t-shirts, not a poor orphan/servant girl and they just lost their sleeves instead of a shoe… and they don’t really need them anyway… and there’s no prince… but that sewing studio was pretty fun, like a royal ball. Nevermind, bad analogy… but check out that quilt! You'll immediately want to take it out for a picnic date and when the sriracha spills off the hot dog bun and onto your blanket, you'll be able to wash it up quickly and be ready for the next adventure. 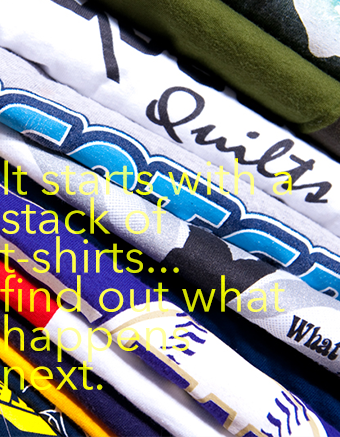 Learn more about caring for your t-shirt quilt. 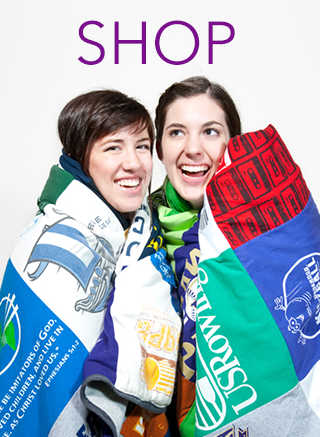 We were excited to contribute this creative t-shirt quilt project to the Upcycled T-Shirt Book. Jenelle requested a modern quilt and we made this one with some bright blues and greens (and a little pink thrown in) and sent it from our studio in Aberdeen, Washington over to New Jersey to be photographed along with our instructions. 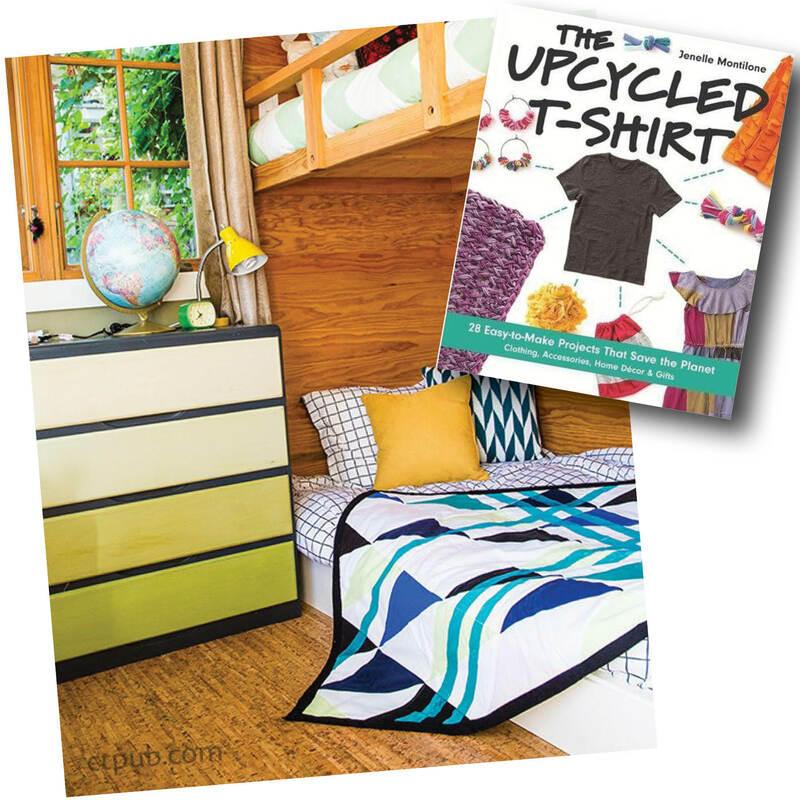 Grab your copy to DIY your own t-shirt quilt or find other fun ways to use old t-shirt scraps for crafting projects. I hired [Queen B Quilts] to design and produce A t-shirt quilT for my 19 year old daughter, making use of her dance company t-shirts that span a dance career of over 14 years. Britta did an excellent job of making a beautiful and practical (useable) quilt that my very picky teenage daughter absolutely loves. In addition, Britta is great to work with – personable, reliable and efficient. 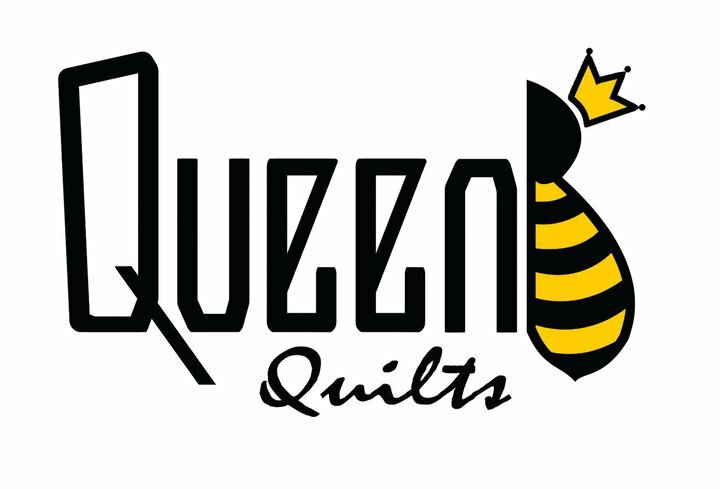 I would highly recommend Queen B Quilts as a great way to turn your memorabilia from stuff collecting dust in your closets or drawers into something beautiful and functional that you can have as a family keepsake. OMG!!!! Love it!!!! Wow-just looking at it brought back memories. My husband was thouroughly impressed; he actually thought it was romantic of me to have had it done (a T-shirt I wore on our first date was in the quilt :)) Thanks again-I’m so glad you do this! I got my quilt last night, and I love it…it is better than expected. I love the grey wool backing. I’m thinking another box of tee’s may be in the mail soon!